In 2011, an evil scheme by the Western Mafia of Khazarian Zionists (UN, NATO, US, UK, France, Qatar), began a false flag titled “Arab Spring”. This scheme was developed to destroy one sovereign country – Libya. The reason behind this was many fold but mainly, Ghadafi had started a gold currency for Africa called the gold dinar. This gold backed currency was already started in the Comoro Islands and all Arab countries has signed up along with more than half of Africa. This dinar would have caused the demise of the toilet paper bankers who control most of the world with their vacant petro dollar. The entire premise of “Protecting the Innocents” from an oppressive regime used in 2011 to foment the invasion and destruction of Libya was a complete and utter lie. A huge invasionary force professing to protect the Libyan people causes one sixth of their population to be dead or missing, Two million Libyans must live in exile to preserve their lives. The entire infrastructure of the country is destroyed with 100’s of thousands of bombs dropped on the country. Destroyed were Power plant’s, water treatment plants, hospitals, universities, roads, agricultural areas, homes, etc. Total destruction in Libya will run into the trillion dollar range. 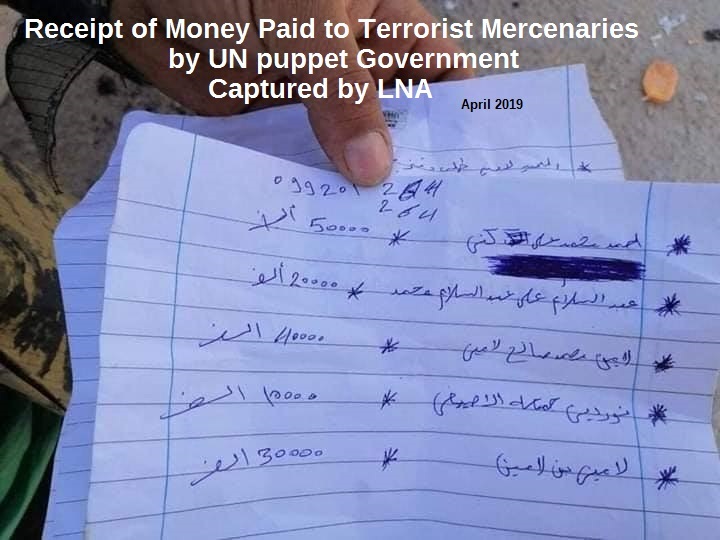 The occupational force of 250,000 terrorist mercenaries that were brought into Libya in 2011 by the CIA, Mossad, Mi6, etc.,were left in Libya to enjoy all the spoils and continue the destabilization of the country. These occupying forces enjoyed full support of weapons, money and training for the past 8 years by the US,UN, NATO, UK, Italy, France, Saudi Arabia, Qatar and Israel. The Libyan people’s right to vote was ignored or taken from them. 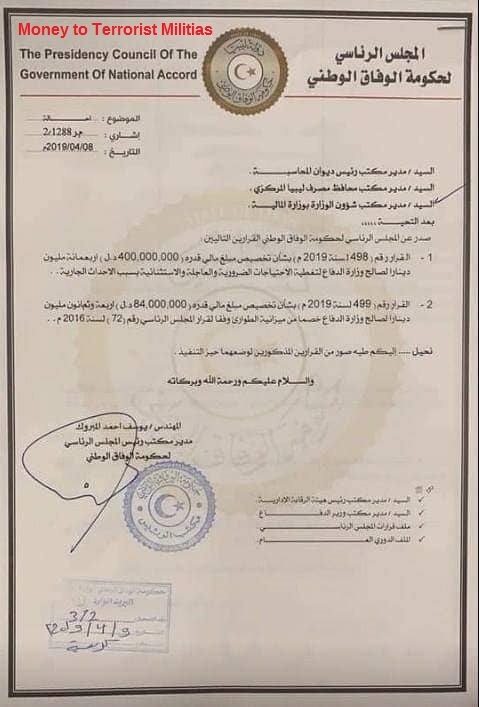 A non elected UN puppet government was installed (GNA or Government of National Accord) with no basis in law and given access to the Libyan people’s 500 billion dollars which was held in the US Federal Reserve, European Central Bank and Bank of Japan. 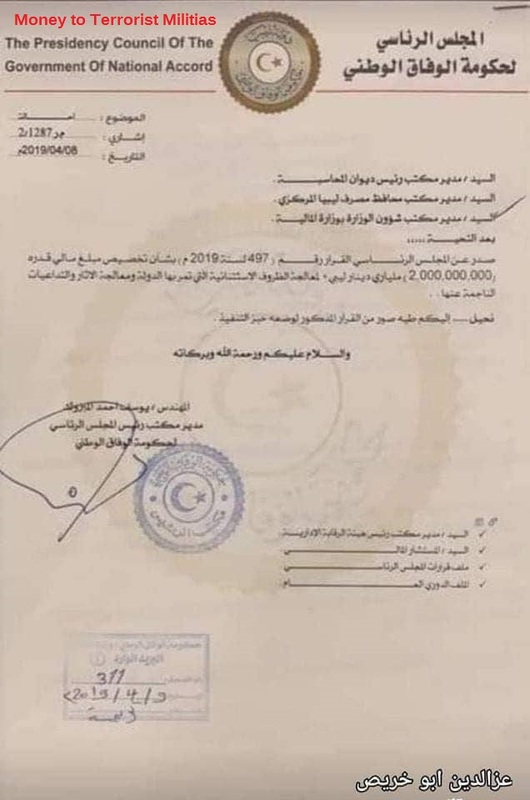 With this huge amount of monetary resources, nothing has been done to aid and assist the beleaguered Libyan people. There are now however, many billionaires in the ranks of the terrorists, phony politicians and many,many influential foreigners. The Libyan people have suffered such oppression for the last 8 years that lesser beings would have folded and given up. But Libya is an ancient culture of Tribes who have strong family units and great love of their country. Since 2011, the Libyan people have told us that the truth and their God will free them from the oppressors, now they are teaching the world how a country, oppressed by western ogres, can take back their sovereignty and their freedom. We believe that the real “Libyan Model” is how every country can take back their sovereignty after years of oppression. The most important next step is a country wide election. The Libyan people will then pick their own leader. Today, you will see in the LYING media that Libya is in a civil war. Nothing could be further from the truth. Today, all of Libya has joined together to CLEANSE their country of the terrorist mercenary militias left behind by the western imperialist invasion in 2011. These gangs of terrorists (militias) have been controlling Tripoli, Misurata and other surrounding areas. They work with the UN puppet government who funds them and they oppress all the people with acts of terror as they roam the streets with their AK-47’s. They have been well armed by the west and have tanks, planes, missiles,etc. It will take a large force to clean out this cancer left by the west. 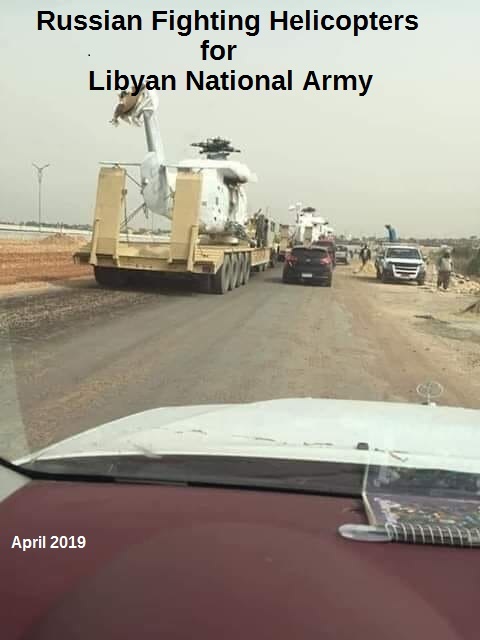 To say the Libyan people back their national army is an understatement, they welcome them with open arms, they have been waiting for this for 8 years. Khalifa Haftar is a rogue figure in Libya. He is a known traitor to Libya and was working with the CIA for years in Langley, VA. He was dropped into Libya in 2011 to lead the mercenary forces used to destroy Libya. Supposedly, after Libya fell, he had a “change of heart” after seeing Libya destroyed and people terrorized by the western mercenaries. He then worked his way into leading the LNA (Libyan National Army) which was a small force after the 2011 NATO destruction. It is his dream to be the leader of Libya, this is his driving force. Haftar himself has done many despicable things and the Libyan people are well aware of his past. But, the reality was that Haftar (being CIA) was allowed to gather weapons, he was allowed to visit foreign countries to ask for aid, etc. As time went on he began to speak about cleaning Tripoli and Misurata (the head of the snake). At first the Libyan people were very weary of him and his words and they still are but he was the only person who was allowed to put together a force that could effectively cleanse Libya. 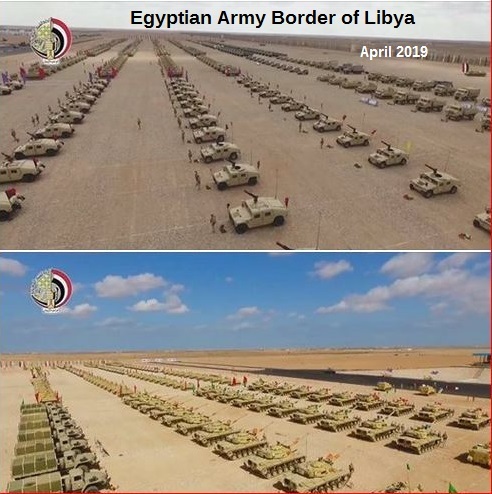 So the Libyan people and tribes understanding that they would never be allowed to gather enough weapons to clean their country and understanding that the mercenaries were supplied all the weapons they needed, decided to use Haftar and whatever means it took to finish off the occupation of vipers. Understand this, the Libyan people are 100% behind the LNA (Libyan National Army). They hate the militias (mercenaries). They don’t care about Haftar leading the army, he is just a figure head at this point. 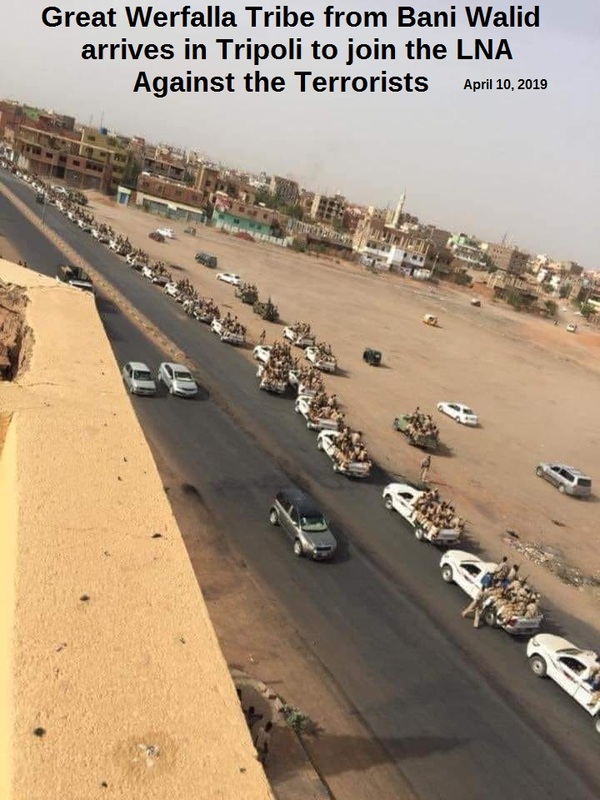 In Libya today, most of the big tribes have their own armies to protect themselves from terrorist mercenary attacks. They have been fractured apart intentionally to keep them from joining together to take back their sovereignty. The Libyan people have been waiting for an uprising, Libya is a tinder box and the spark has been lit. Also, understand that ALL Libyans HATE these so called militias, they hate the UN puppet government so any report of the so called media speaking about civil war is just an attempt to foment international interference. When the Libyan army began to enter Tripoli, Libya began to rise. The tribes/the people all watched with hope in their hearts and prayers for their fighting men. As the days progressed more and more tribal armies began to arrive. 3,000 military fighters from the Tarhuna tribe joined, 13,000 from Bani Walid, the Werfalla Tribe have joined and thousands more. The number is up to 80,000 + in the LNA. As the people’s army comes into Tripoli, the people come from their homes and welcome them. They know that the army is there to clean the criminals from their city and country, they have been praying for this. 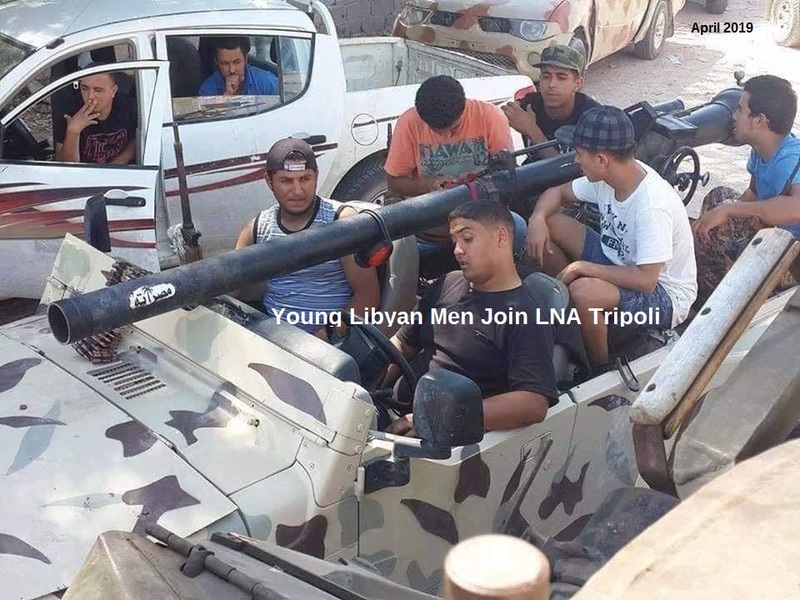 The young men of Tripoli and other places are joining the military in large numbers. These young men are not trained but they don’t care, they are angry about what has happened to their country and their lives. They join and ask for weapons to help and clean their country. The numbers of these young men is in the thousands. 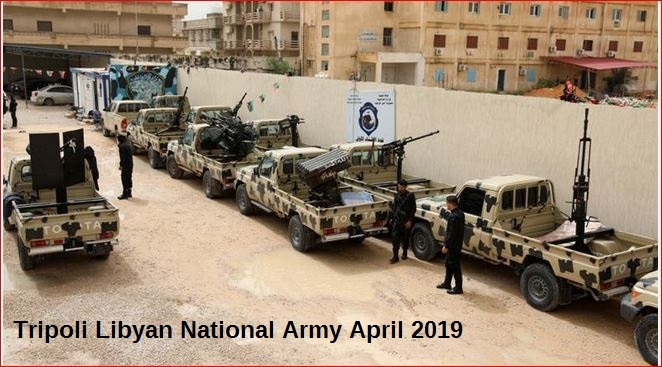 There is no need for the army to recruit anybody, unlike what the media would like to say, the Libyan army is strong, well staffed and growing. The next event that happened as the LNA entered Tripoli was troops of foreign countries were withdrawn. 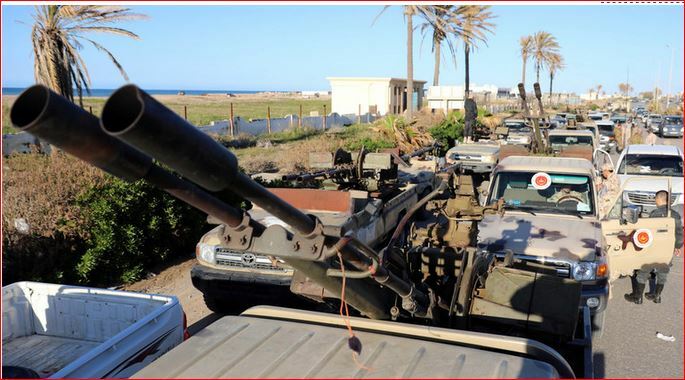 The US had troops in Janzour, a resort area near Tripoli. The US has been denying having any troops on the ground in Libya forever but the US troops were on the ground in 2011 and have been ever since. 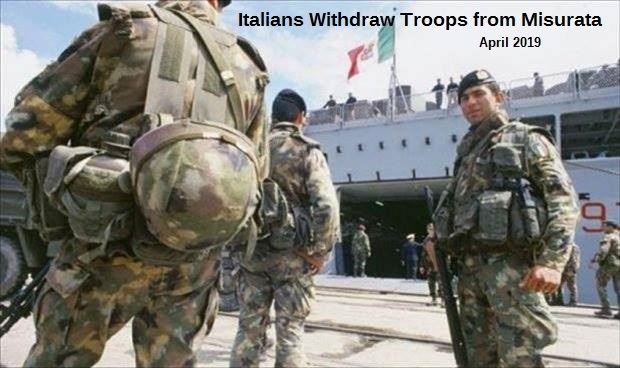 The Italian army, occupation force supporting the Misurata criminal mercenaries brought in a large military ship and pulled their troops out, the Indian Embassy and their troops were also pulled out of Tripoli. The big question is, what were all those troops (US/Italy/India et.al.) doing in Libya? The answer: supporting and supplying the occupying mercenaries in Libya. Even thought these mercenaries are members of well know terrorist organizations and led by known and wanted international terrorists. the mercenary militias were doing the dirty work of the western imperialist New World Order. This kept the faces of the imperialist countries who wanted Libya destabilized hidden so they could continue to steal Libyan assets. The LNA is not a ruthless force except where the terrorist mercenaries are concerned. They publish on the TV and radio warnings to the people of certain areas that will they will be fighting in to please evacuate. They ask people whose homes house terrorist to please leave their homes, they work to try and clean the city with as little as possible damage to the people. They know they can clean their country, as long as foreign intervention is not allowed inside. This brings me to my next point, Mother Russia has stepped up in support of the Libyan people cleaning their own country. In other words, Russia has warned all other foreign countries to stay out and let the Libyans settle this themselves. 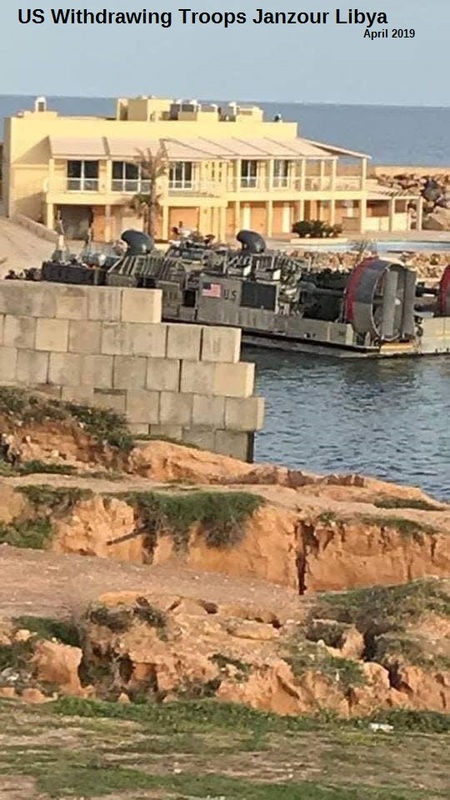 To show how serious they are, they have moved one of their big aircraft carriers to the Mediterranean near Tripoli to make sure that no country tries to interfere. The US immediately started their false rhetoric about civilian damage which is ripe coming from the mouth of the killers of almost 1 million civilians in Libya. The UK and Qatar immediately put forth a motion at the UN security council to intervene in Libya. This was vetoed by Russia and China, thank you very much. Now the EU is proposing action and condemning the LNA in Tripoli to which Macron immediately blocked. Obviously, all the gold that France has been stealing from Libya over the past 8 years has made them decide to try and be Libya’s friend now. 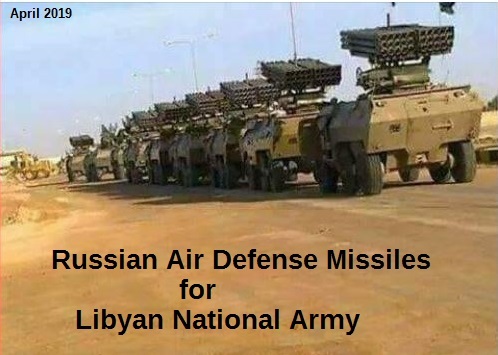 There are countries who have stepped up to support the LNA and Russia has sent in their sophisticated anti aircraft missiles along with their fighting helicopters. Russia is just leveling the playing field because the terrorist mercenaries have been being armed by the US for 8 years with planes, tanks and all other kinds of military paraphernalia. The LNA was embargoed by the Khazarian controlled UN from purchasing any weapons since 2011. Also, Egypt, holding the worlds largest army has moved a huge contingency of tanks, planes, cars, etc. to the Libyan border. Egypt is not going to allow the western thugs to bring in weapons and mercenaries to Libya like they did in 2011. It should also be noted that these criminal mercenaries are ruthless killers and thieves. They only work for money and they fight amongst each other for the spoils. The UN puppet president, Fayez Serraj, has passed hundreds of millions of Libyan money to these mercenaries this week to keep them fighting. 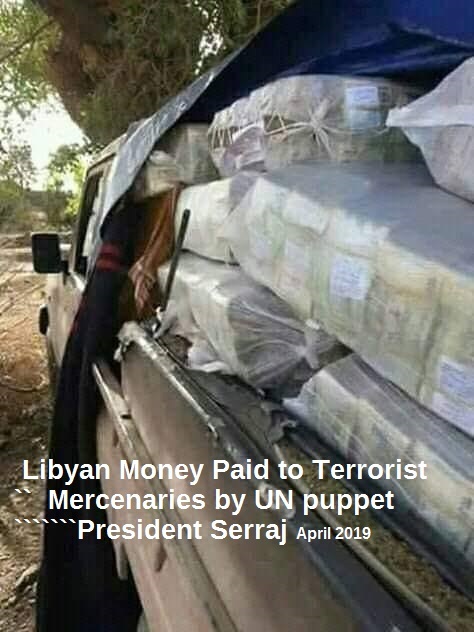 But the mercenaries were not happy about how their leaders divided the money so someone drove off with a truck load of money out of Tripoli. 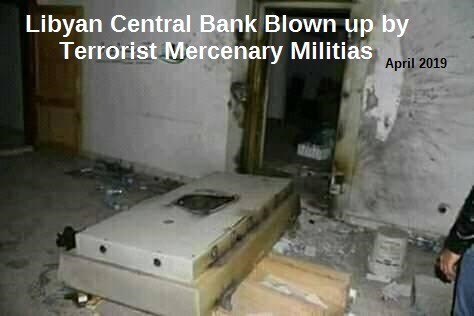 The next thing you see is these terrorists blowing apart the Libyan National Bank and stealing all the money out of that bank, Another big point that should be made is that these terrorist mercenaries, put into Libya and supported by the US/UN/UK/Italy/Qatar/Turkey, etc., are the ones who are doing slave trading in Tripoli. This fact has been confirmed by a recent UN report. It is not difficult to understand why the people of Libya HATE these occupiers. The people know that the only hope for them and their country is the LNA. They love their army, they pray for their army and they fully support their army. My last big point and a very important point is: what does Libya taking back their sovereignty from the New World Order mafia mean to the world and other countries? Libya is a small country population wise (5.5 million), it was blown up and occupied by the NWO and their puppets. For this little country to rise, for all of its people to stand and fight to remove the illegal occupation gives hope to all the other countries occupied by the NWO. 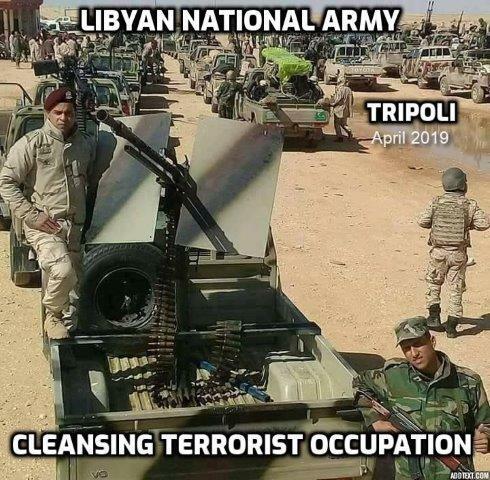 Don’t think for one minute that the corrupt leaders of the NWO are not pulling their hair out over this cleansing of their proxy army out of Libya. Libya has now become a watershed moment in history against the NWO. The criminals are in a box, no matter how they try to put their lies out in the media it does not work. There is no way to spin that the cleansing of terrorists out of Libya is a bad thing. Too bad for them they are the terrorists.